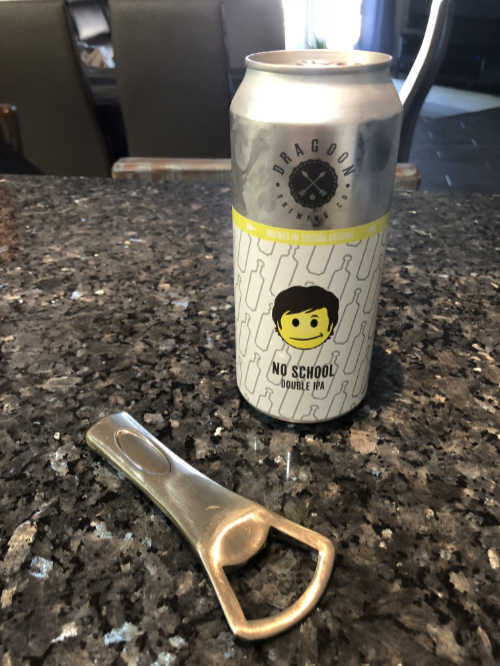 Dragoon No School IPA is their imperial standout. In fact, if you go to their website they call it an IIPA instead of the Double IPA it says on the can. At first smell, you immediately notice that this is not your average bear. It is a strong 90 IBU with some of the newer hops that you might not know of. It includes Mosaic which you may know well by now, but also Apollo, E-07270, Eureka, and the New Zealand Dr Rudi. Some of those hops may not be new, but just now getting more usage. For instance, that Dr Rudi has been known for a dual purpose aroma and bittering and I think that is why this beer has excellent aroma and bitterness to it. Even more unique is the Apollo giving it a little cannabis aroma. 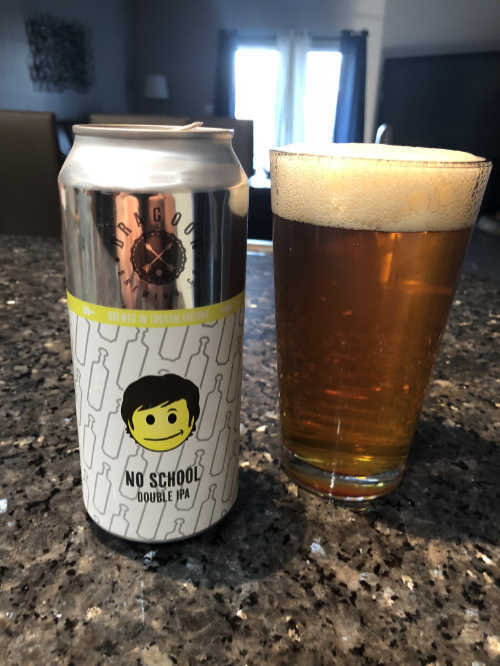 The Dragoon No School IPA is copperly colored brew with lots of maltiness in there that gives it that 7.9% ABV. One of the things that adds to that lengthy mouthfeel is the local Sonoran White Wheat that is added into the 2-row, crystal, carmel and honey malt. The Sonoran Wheat has a story that you should go look at in the link that I have provided. For all of you that have gluten issues, the sonoran Wheat is one of the plants that has 200 year history when people did not have issues because we did not mess with the genetics of it. This is the basis of real borderlands white flour tortillas. If you want real traditional ones, they will be made with this wheat and you can tell the difference. Similar, you can taste that special mouthfeel in this beer. 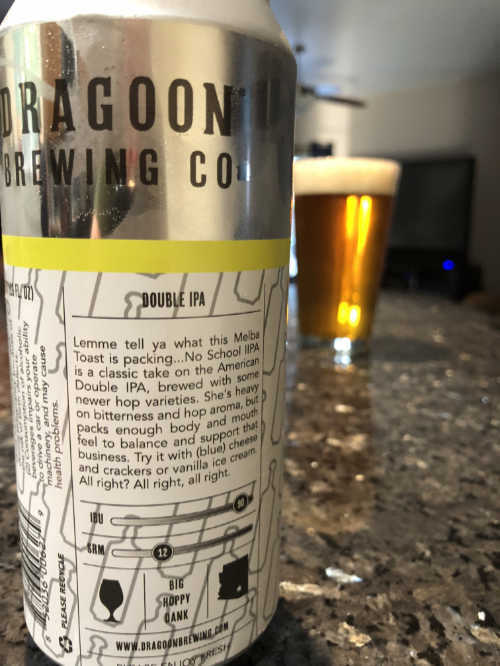 Taking a closer look at the can itself, Dragoon has a great description for the beer. In fact the last line has me totally thinking about Matthew McConaughey and the Dazed and Confused movie. “Alright, alright, alright” has a special place in my mind for high school secret keggers. So the back description has a little bit of that, but look closer at the front. I have always noted that Dragoon does a good job in putting in little invisible things in there that you could notice if you look. At first glance the white background looks like an elongated bottle, but it is a paddle. Like the paddle the movie talks about. Good job Dragoon. I like it. This entry was posted in Beer Reviews and tagged Ale, Dragoon, IPA, Local, Tucson.